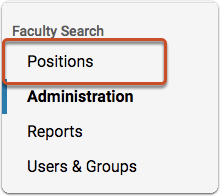 Positions accessible to you in Faculty Search appear on the Positions page. 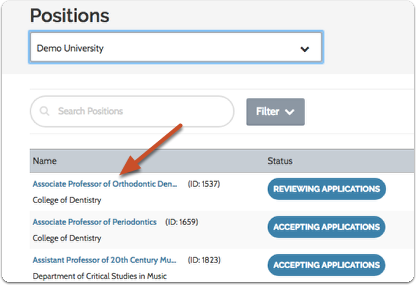 The name of the position is generally the title of the position you are trying to fill such as "Associate Professor..."
The position status describes the current state of the search, such as; Accepting Applications, Under Review, etc. Still don't see the position you are looking for?